An experienced estate planner and insurance advisor, Ted manages First York as partner with Ted Polci. In this complex area of insurance and estate planning, experience and credentials are vitally important. Ted Warburton has provided that experience to some of Canada’s most successful business owners and families. 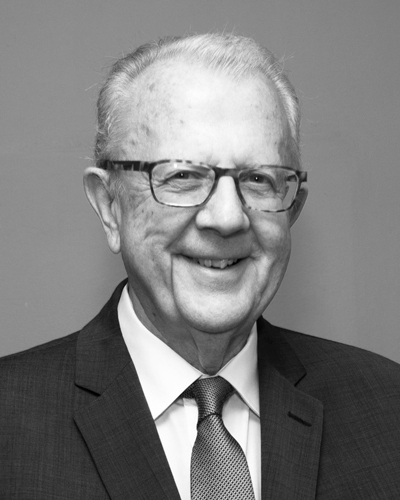 A charter member of the Conference for Advanced Life Underwriting, Ted has served as Toronto president of Advocis, the professional association of insurance and financial advisors and is a charter member of the Society of Trust and Estate Practitioners (STEP). Ted was involved in bringing the Make-A-Wish Foundation to Toronto and continues to be active in local community affairs. One of the challenges and rewards of working with successful entrepreneurs is the opportunity to craft solutions for varying objectives and then see those solutions deliver significant value. I look forward to working with new & existing clients to resolve issues successfully into the future.